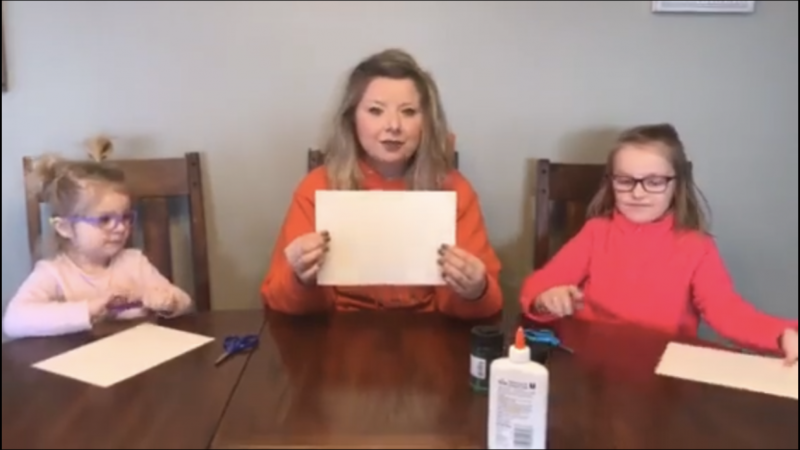 Mrs. Poole and her daughters demonstrate how to make snowflakes. Five straight days off of school can feel like an eternity, but LPCSC staff members decided to make the best of a rough weather situation by bring some love and ingenuity to the families of La Porte. With bitterly cold temps and snow wreaking havoc in the area, the La Porte Community School Corporation Facebook page was plastered predominantly with 2-hr delay and cancellation messages, but once school was called for three days due to the impending return of the polar vortex, the Facebook page quickly became the place to go. 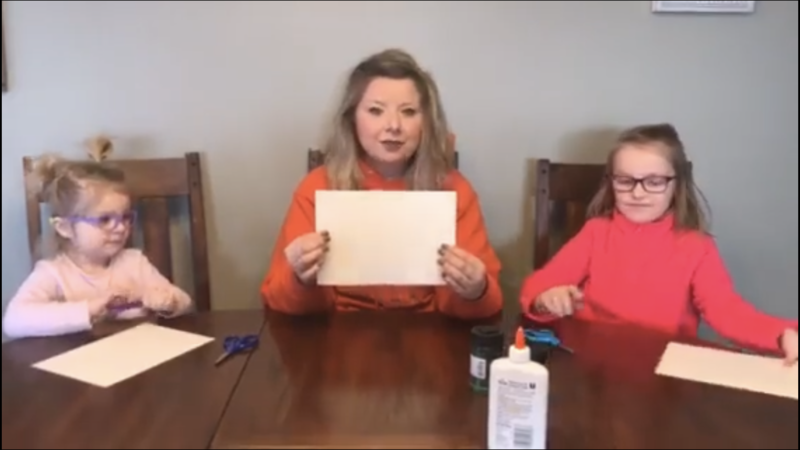 In order to alleviate some cabin fever, to encourage some learning, and to stay connected to students, LPCSC staff members started making videos to post on the page for students and families. What started out with a call from one staffer for videos to post quickly became an outpouring of love. Tuesday brought books being read, an experiment from a principal, a student challenging other to make gratitude cards, a demonstration on how to make ice cream from snow, and a math challenge from one of the middle school teachers. “When teachers are away from their students unplanned, their creative minds are still in full gear. It was so much fun to reach out to them in such a unique, fun way. La Porte teachers are so wonderful. It’s great to be a part of such a fun, motivated, kindhearted group,” Mrs. Welsh, Boston social studies teacher, said. The videos started to catch on, with the first one quickly reaching 3,700 views and 53 shares. Parents were commenting on how great it was to have something to show their kids and pass time. Pictures and videos of LP students trying the experiments began popping up on social media. The page even added almost 300 followers over the week, many wanting to see what would come next. 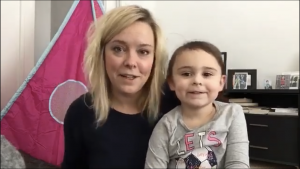 “I wanted to make a video because the idea of sharing fun projects with my children at home and my kids at school was amazing. I really did miss my students! After 99 days, they have become very important little people in my life,” Mrs. Poole, Riley kindergarten teacher, said. Mrs. Jackson and daughter Emery read a book for LPCSC students. Day two saw 12 more videos posted. Students were treated to typing lessons from Boston’s Digital Citizenship teacher, a tutorial on how to make a hydroponics system, a story from the superintendent, a look at what happens when boiling water is thrown into bitterly cold air, and a parody of Adele’s “Hello” that was about the love of fatty foods by choir director Mr. Coe, which garnered almost 20,000 views, 562 likes, and 377 shares. “I was bored out of my mind, and I thought would be fun to sing something for my students since they don’t get to hear me singing anything other than warm ups or THEIR choir songs. I love that parody, and it described what I was doing so accurately,” Coe said. Day three saw much of the same. The page filled up yet again with fun and creative ways to pass time from educators who wanted to still reach their students. By this time, the central office even decided to join in and sang a new rendition of “Tomorrow” to welcome students back after a long reprieve. La Porte may have been shut down due to the cold, but one page had many still connected. One teacher even promised a lap around the school for any student who passed an AR test Friday. 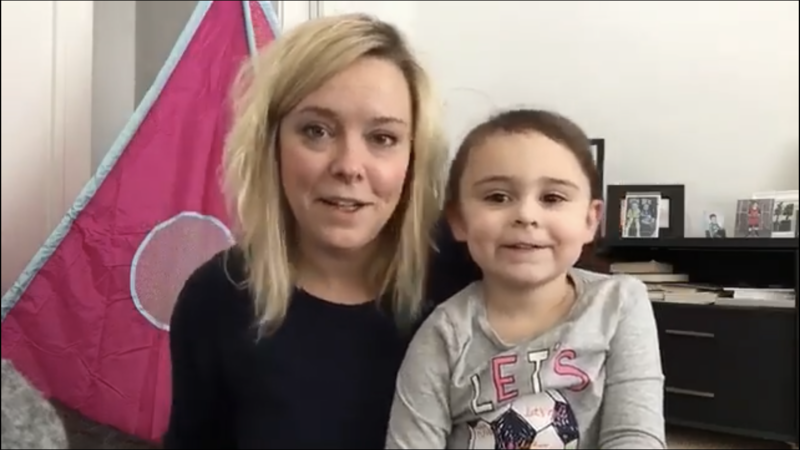 The online challenge was accepted by many and led to her having to walk 46 laps at school, which she again documented on video for all to see. In a sometimes negative world. LP staffers showed how beautiful and empowering connection can really be. They proved that the compassion and care they have for students extends far beyond the school walls. What could have been a painfully boring three days turned into 72 hours of laughs, learning, and love. If you missed out on all the fun, visit and follow the La Porte Community School Corporation page on Facebook.